Rediscovering the wonders around us through the eyes of my young son. Winter means our slow cooker gets a major workout with my family's all time favourite dish of corned beef being one of the most popular requests. For us it goes hand in hand with winter. 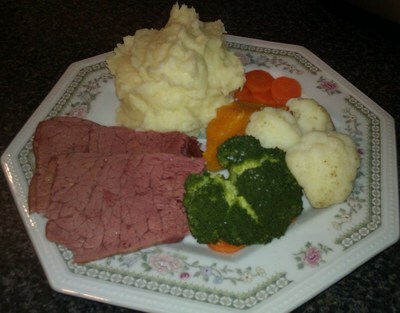 The aroma of corned beef cooking slowly invokes strong memories of past family get-togethers when I was a child. 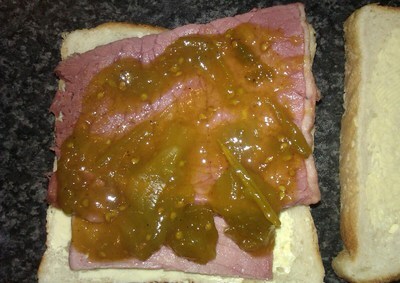 One of the first things I attempted to cook when I moved out of home was corned beef; to my utter horror it never quite tasted the same as my grandmother's. After many unsatisfactory attempts with varying amounts of different ingredients, I begged my grandmother for her recipe. To my surprise, she directed me to my grandfather who it appeared was the culinary expert when it came to corned beef. So to save everyone the heartache of not quite right old style corned beef and to make the cows sacrifice worth while here is our family recipe for corned beef and please excuse the slap dash style of adding the malt vinegar; it does work, I have been following my grandfather's rather liberal instructions and never had a failed corned beef since. These days I do my corned beef in a slow cooker which I put on around 10am in the morning and the meat is more than ready by 6pm, but a large saucepan on low to medium heat will suffice. My local butcher is always helpful, I tell them how many people I will be feeding and they select the right size for me. Since being bestowed with this recipe, I have had to add an extra person to my number to allow for seconds and to meet the demands that it be put on sandwiches for work and school the next day. I usually end up with a side of corned beef, which is between 1.5kgs and 2kgs. Ingredients chopped and in the pot. 1. Peel and slice onion into quarters. 2. Top and tail carrot, leave the peel on and cut into quarters. 3. 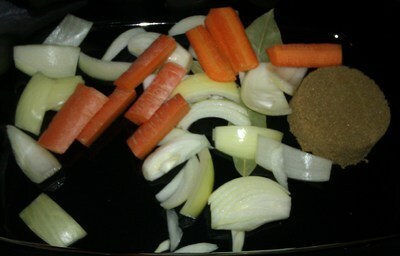 Add onion, carrot, bay leaves and sugar to slow cooker or saucepan. 5. 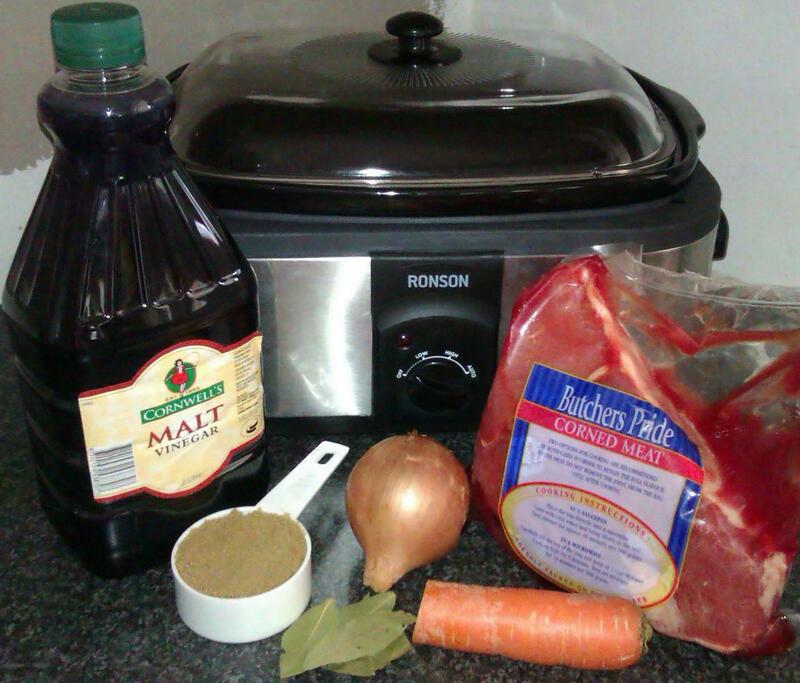 Add the corned beef to the slow cooker or saucepan and add the malt vinegar till its half way up the meat. 6. Add water till the fluid level is 3/4's of the way up the meat. Thanks pop for your quirky measuring style. 7. Cover with the lid and set the slow cooker to high for an hour, then reduce to the lowest setting. If you are using a saucepan bring to the boil then reduce to a gentle simmer and cover with lid. Cooking time will vary according to the size of your side of corned beef, but as a general rule I allow 30 minutes of cooking time per 500grams of meat. 8. 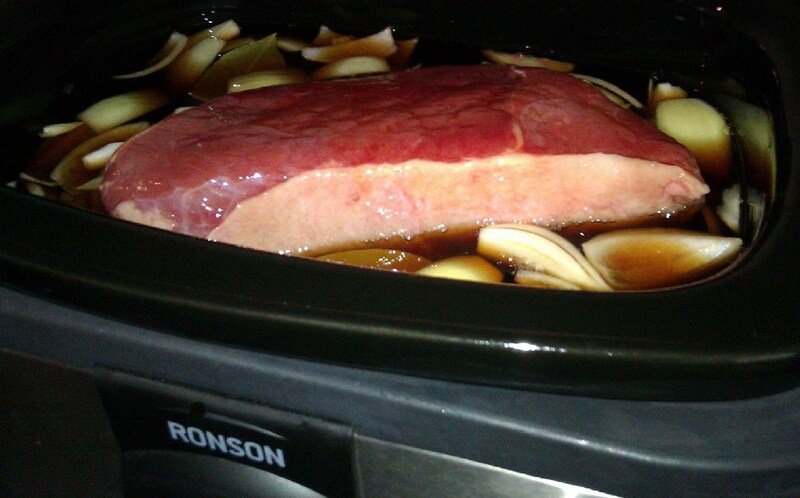 Turn the meat over half way through the cooking time so that the exposed portion of corned beef has a chance to cook. 9. Slice up and serve with steamed veggies and fluffy mashed potato. All plated up and ready to be devoured. 10. Slice up any leftover meat for school and work lunches the next day. Goes great with a slice of cheese and some homemade green tomato pickles. Yum, leftover corned beef with homemade green tomato pickles. This will be on my menu for the weekend. Tired of Christmas Ham, Pork and Prawns? Served hot with vegs or left overs for 'sammo's' or salad. My slow cooker (crock pot) is used weekly during the year. Best invention yet! Good traditional recipe, I also add approx. 15-20 of each whole cloves and whole black peppercorns and a pinch of nutmeg, a clove or 2 of garlic (whole) and half a swede (peeled & quartered) when cooking corned beef. It still has the traditional taste while adding more flavour. A definite family favourite. 2.2kg in a slow cooker on low how long for?